Active-alert hypnosis – hypnosis while moving – is great for adults and kids alike. Fears and anger can just malt away while moving on a stationary bike. Active-alert hypnosis was developed by Dr. Éva Bányai in the 1970ies in Hungary and at Standford University. She developed a standardized induction that involved open eyes, did not mention relaxation or sleep but suggested alertness, attentiveness and freshness. The hypnotic state produced by an active-alert hypnosis induction was nearly identical with a traditional relaxation induction. This opened the door to using hypnosis in situations that require open eyes and full attention. Do contact me (via email to ruth(at)ruth-roethlisberger.com) or have a look around on the website if you want to learn more about it. 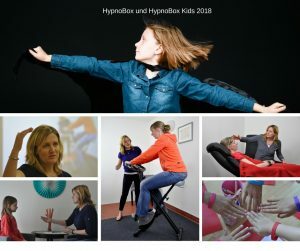 Die Aktivwach-Hypnose – Hypnose in und durch Bewegung – eignet sich für Kinder ebenso wie Erwachsene. Aktivwach-Hypnose (AWH) kann bei den unterschiedlichsten Themen eingesetzt werden. Ängste und Wut z.B. können in der Bewegung einfach aus dem Körper herausgearbeitet werden. Die AWH wurde in den 1970 er Jahren von Dr. Éva Bányai in Ungarn und Standford entwickelt. Dr. Éva Bányai stellte fest, dass mit Hilfe einer standardisierten Induktion und in der Bewegung auch bei offenen Augen eine Trance hergestellt werden kann. Das war der Grundstein zur heutigen AWH. Informiere dich auf diesen Seiten oder kontaktiere mich, wenn du Fragen zur AWH oder den Fortbildungen hast. I grew up in a small family-run hotel and have always met lots of different people. Basically I grew up in front of them. For my first profession I chose not to be so close to people but to work behind the scenes and I studied business administration and had different jobs in tourism. When my husband’s work took us to Signapore for 4 years I realised how much I do love to connect with others and how much I have missed it. Those 4 years were amazing due to all the people we met from all over the world and with different backgrounds. To get an insight into different cultures, different parenting styles and ways of thinking helped me to become more aware of different people’s needs. 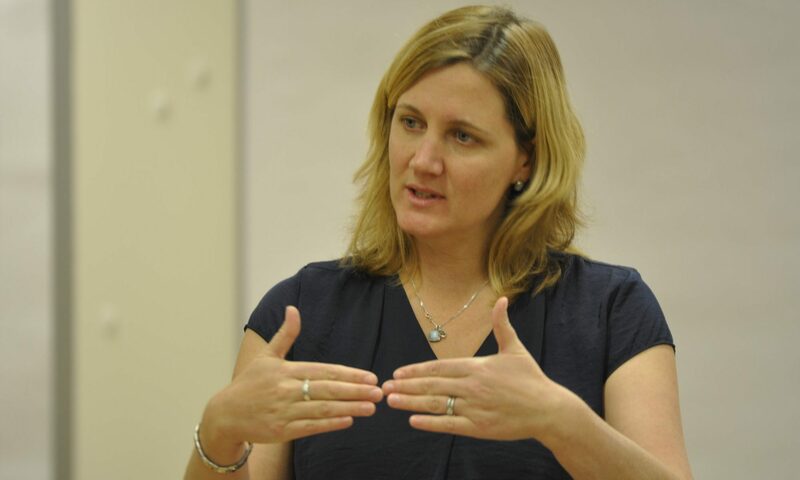 When I first heard about the OMNI Hypnosis training in Singapore I was immediately caught by the idea of becoming a hypnotherapist and wanted to learn more about it. To work with hypnosis seemed a bit “mystic” at first but I soon learned that it is not mystic at all but very helpful for clients who want to improve their life. So I undertook the training in the OMNI Hypnosis Centre in Singapore in March 2014 and also became a HypnoKids® specialist later that year. In 2016 I learned all about hypnosis through activity – active alert hypnosis – and am a big fan of that ever since. 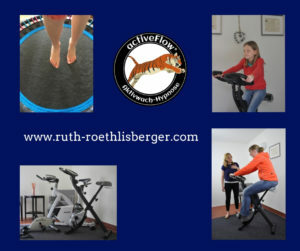 Since 2018 I am also an activeFlow® – instructor and am looking forward to introduce this amazing tool to other hypnotherapists. As a mum to 2 kids attending primary school I know all about the ups and downs of life with kids. Kids learn new stuff on a daily basis and they change continuously. As a parent you have to adapt to theese changes and have to hold back your own fears and concerns. I truly understand how hard this can be. Not enough sleep for both adults and kids? To much stress at school or at work? How well I know those feelings. But I also truly believe that there always is a way to a happier and healthier life. If you are up for a change for the better in your life I would love to help you and guide you to find your way to a life full of hapiness and vitality.